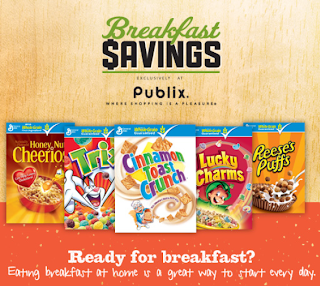 Publix helps you start each day saving money! Everyone loves to save time and money while enjoying the benefits of eating "the most important meal of the day" at home, and my family is no exception. If you found any of the offered coupon savings helpful or if you visited your local Publix to stock up on some sale items please comment below to let us know. DISCLOSURE: The information, products and General Mills gift pack were provided by General Mills and Publix® through MyBlogSpark. We do not have a Publix, but I sure wish we did! Thanks for sharing the great coupons! Great coupons. We shop Publix when we're down in Florida. No Publix around here unfortunately-when my Mom is in Florida for the winter she shops there and raves about it! I wish we had a Publix where I live. I would take advantage of this deal for sure. Yah, this is really great! Too bad, we don't have Publix here in our area. 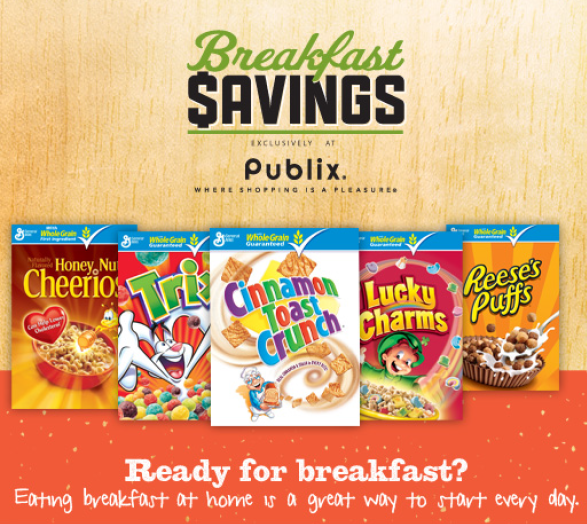 No publix around this area but yes, eating breakfast at home is cheaper and healthier. Publix is so amazing. Their quality is FAR superior to other stores in the area and the prices are great too.